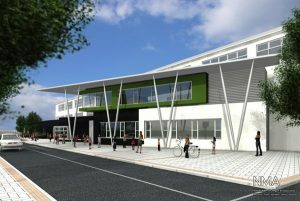 Description: In 2011 PJ Hegarty appointed Fireseal as the lead firestopping contractor for the new €24m school campus in Ongar, Dublin 15. The works mainly consisted of penetration sealing to floors and walls as well as intumescent protection to structural steel. Nullifire firestopping products were used throughout the installation.